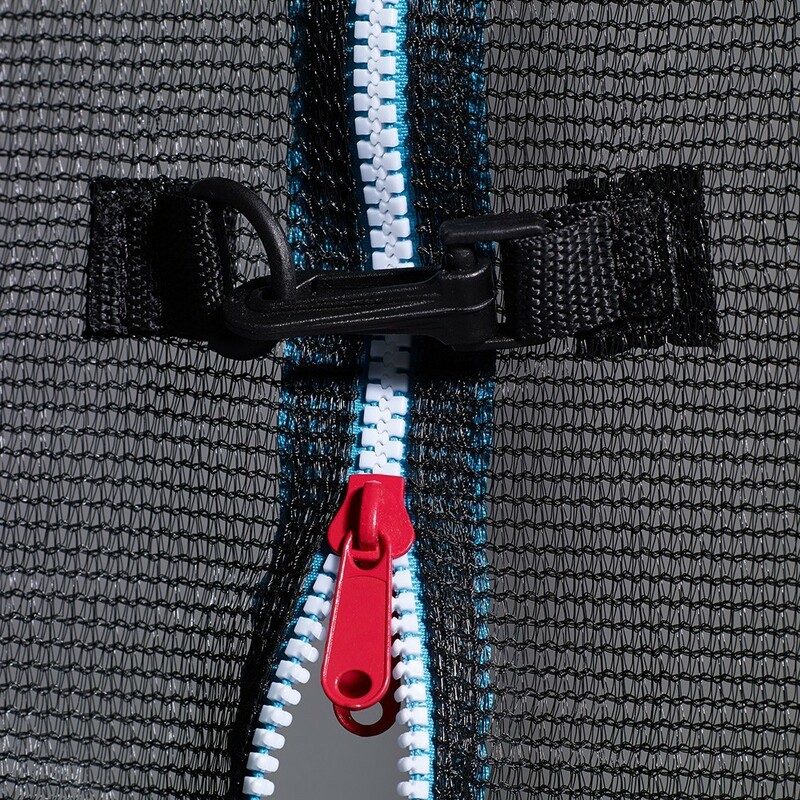 The safety enclosure is one of the most important parts for the safety of your jumpers. If your net begins to wear we recommend replacing it. 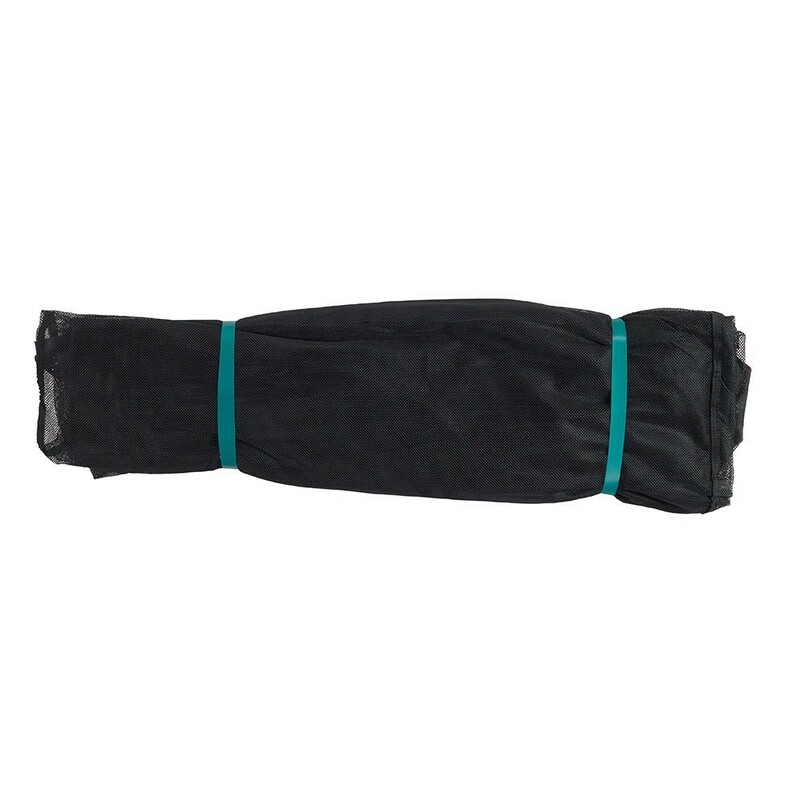 This spare part will allow you to only replace the textile net of your safety enclosure. - This spare part is designed for our 8ft. Jump'Up 250 trampolines bought from March 2016 onwards. 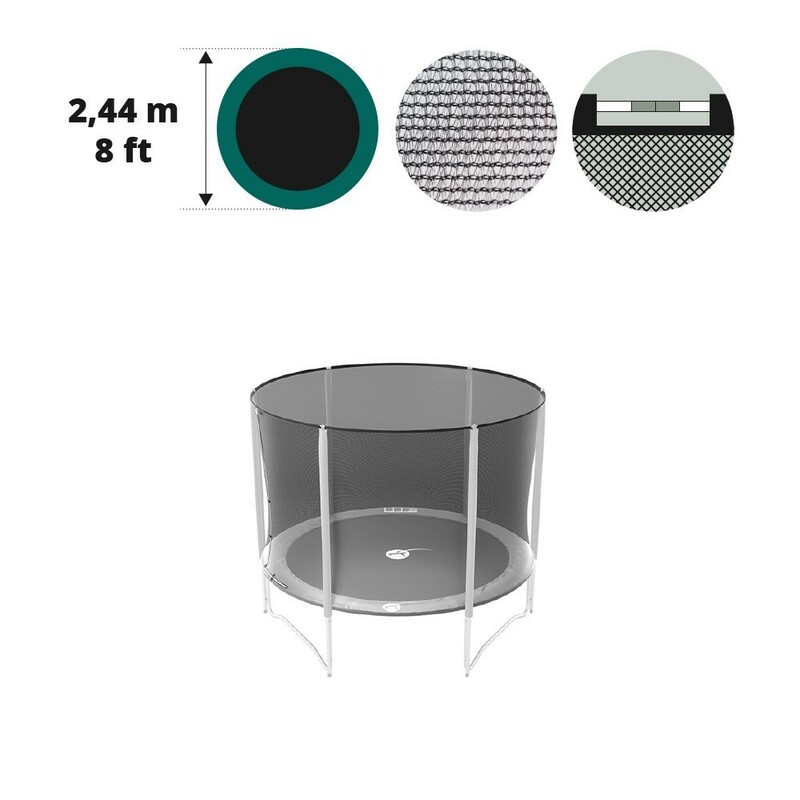 This textile net is also compatible with other trampoline brands that have an overall diameter of 2.46m and 6 posts with 6 caps. The overall diameter is calculated from the outter side of the framework. 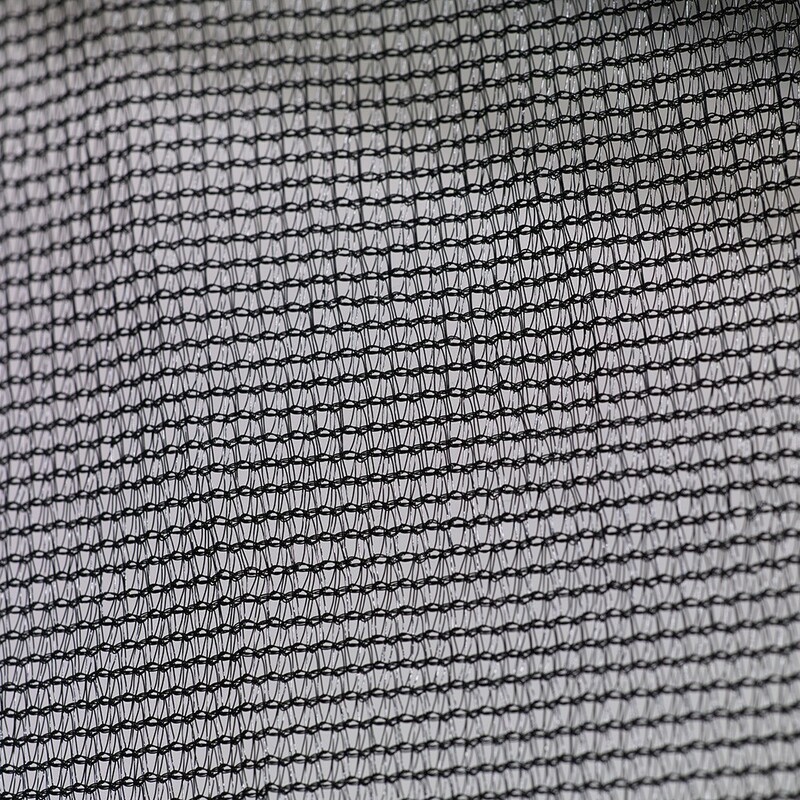 - The net is made from a polyester material that is known for its strength. The netting is very tightly braided preventing children getting their fingers caught in the net. 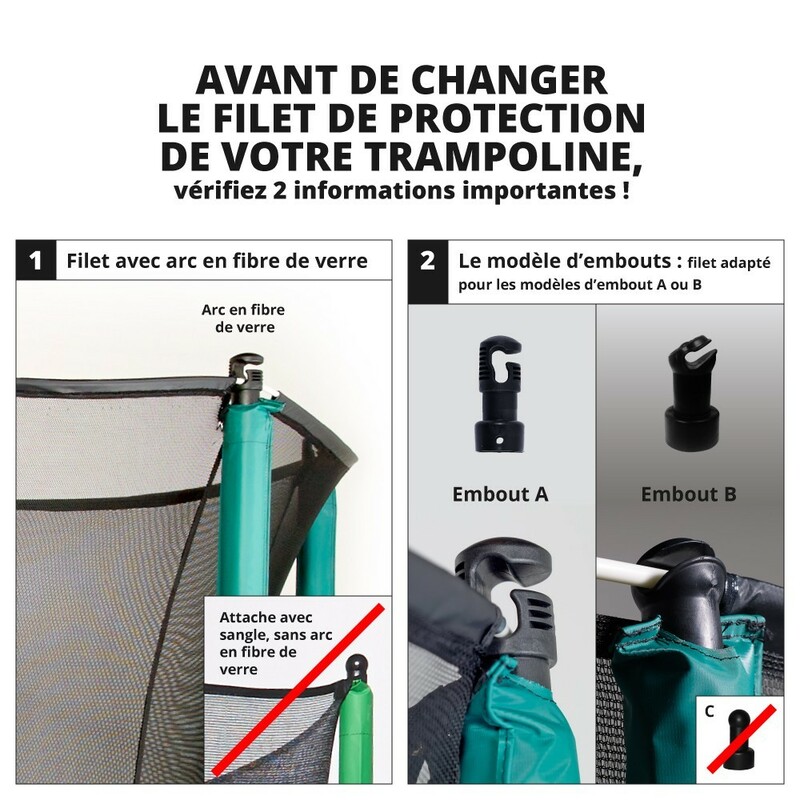 - The access to the trampoline is through a door that can zip inside and outside of the trampoline, with clips also on the outside. 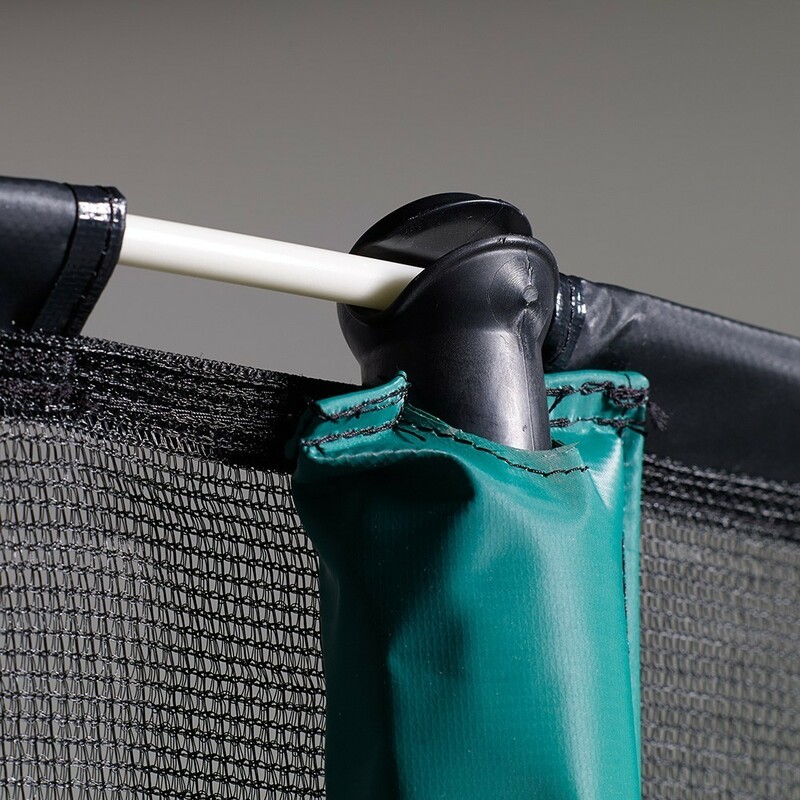 The closing sytem is very practical, quick and even allows children to close it and use the trampoline safely. - This textile net is secured in the caps at the top of the posts by the fiberglass rods that are in the sheaths at the top of the net. The bottom of the net is secured under the trampoline with elastic bands and caribiners.